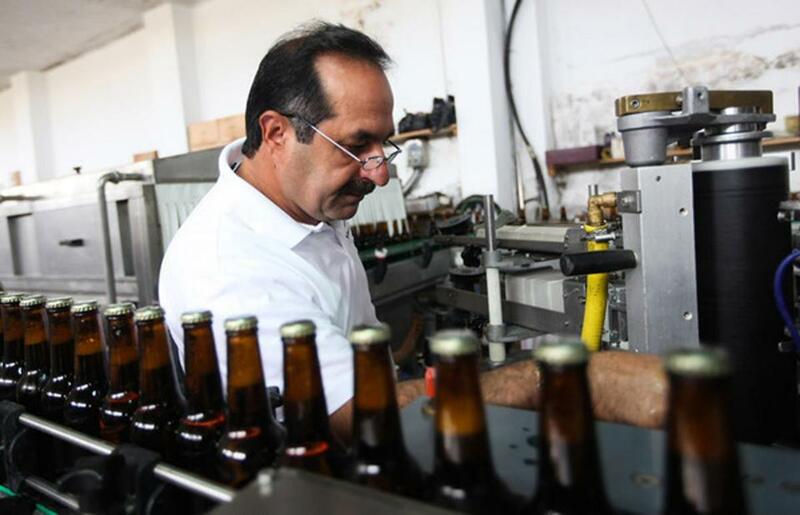 Cofounder Nadim Khoury opened the Taybeh Brewing Co. in Palestine in 1994. TAYBEH, West Bank — The winding, tree-lined backstreets that link Jamaica Plain to Brookline, some of the area’s trickiest for non-locals, contain on their route a fascinating piece of beer brewing history. Nadim Khoury, cofounder of Palestine’s Taybeh Brewing Co., first began brewing in his basement while studying at Brookline’s Hellenic College. And in navigating the curvy Judean hills about 12 miles outside of Jerusalem and a half-hour or so from Ramallah, there is a certain resonance. In the village of Taybeh, nestled among this rolling, olive tree-lined landscape of the West Bank, Khoury’s brewery turns out exceptional beer, and his family’s business continues to flourish in spite of the region’s disheartening political situation. Started in 1994 by Nadim and his brother David, Taybeh Brewing Company was the first microbrewery in the Middle East and exists in Palestine’s last remaining all-Christian community — an ancient town where Jesus is said to have taken refuge prior to his crucifixion. The 1993 Oslo Accords spurred rising optimism among Palestinians, and Nadim returned home from Boston one year later to start the business at the urging of his father. Twenty years later, there is still not peace, but the brewery is in a period of expansion and exciting new initiatives. Those who question the likelihood of a brewery in the Middle East can look back to Ancient Egypt and Mesopotamia, and remember that the diverse population of the Middle East includes plenty of secular beer-drinkers. Craft breweries have begun to pop up around the region, including in Lebanon, where 961 Beer makes a fabulous beer using the wild herb za’atar. And in Jordan, long dominated by Amstel contract breweries, Nadim says a new craft brewing project is underway. 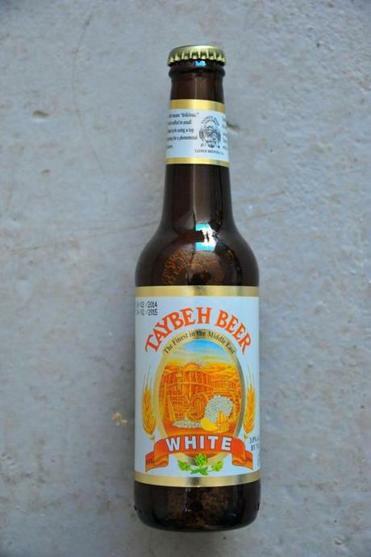 Taybeh produces five kinds of beer — Golden, a refreshing German-style ale; Dark, a malty, deep-flavored brew; caramel-colored Amber; White, a Belgian-style wheat beer accented with coriander and orange peel; and Non-Alcoholic Brew. The beers are sold at liquor stores, restaurants, and hotels around Palestine and Israel alike, as well as in Germany, Sweden, and Japan. Khoury hopes that the brews will one day be available in the US, but the difficulties of dealing with volatile military checkpoints and having to go through an Israeli port make export expansion a slow process. There is also the question of water — a scarce resource in this arid part of the world. Continued Israeli settlement expansion has led to a disparity in water access, though Taybeh is able to use fresh water from a local spring. While they are all right for now, Khoury worries that in the future there may not be enough water to meet an increasing international demand. The modest brewery, which is easily accessible from Jerusalem and Ramallah, offers free tours complete with an explanation of the brewing process, the brewery’s history, and tastings. Taybeh’s popularity and unique story has attracted many tourists — Khoury estimates that they receive about 50-60 busloads per year and a handful of small groups or individual tourists every day. Since 2005, Taybeh has also been hosting an annual Oktoberfest, which last year took place in bustling, cosmopolitan Ramallah. The fest has attracted revelers from around the globe — including Israeli Jews — who come for live music, dancing, and free-flowing Taybeh beer. In a sad sign of the times, however, this year’s Oktoberfest was postponed — this summer’s unrest had a large impact on tourism in Palestine and Israel. But construction is already underway for the Taybeh Golden Hotel, an 80-room venture set to include a restaurant and German-style brewpub located on Taybeh’s main drag with stunning views out on to the hills. Maria Khoury, Nadim’s sister-in-law, says the hotel hopes to welcome guests in summer 2015. Connected to the hotel is Taybeh’s shiny new winery, which is already producing bottles of Syrah, Merlot, and Cabernet. Khoury brought in an Italian winemaker to help get the project off the ground, and the first grapes were crushed in 2012. The winery is now overseen by his son Canaan, a 2013 Harvard grad with a degree in engineering. The winery will boast a private tasting room, and has already attracted American Consul General Michael Ratney, who came personally to pick up wine for a dinner at the consulate in Jerusalem this past June featuring Palestinian products. That’s a sentiment anyone can drink to. Luke Pyenson can be reached at lukepyenson@gmail.com.